I decorated this little notebook today. It originally was just a plain striped, spiral bound book with a brown elastic closure. It was cute by itself, but it just needed a little… something! I used the retired Stampin’ Up! stamp set Cool Cat. I used Burnt Umber and Boudoir Blush Palette Ink to stamp the images. The “kitty” white cardstock panel measures 2-1/2 x 3-1/8 inches. The “perfume bottle” white cardstock panel measures 1-3/4 x 1-1/4 inches. I dragged the edges of both panels in the Bourdoir Blush ink before I adhered them to the notebook. For some last finishing touches tied coordinating ribbon scraps to the spiral binding and added dashes of glitter to the cat’s crown, collar and the perfume bottle. 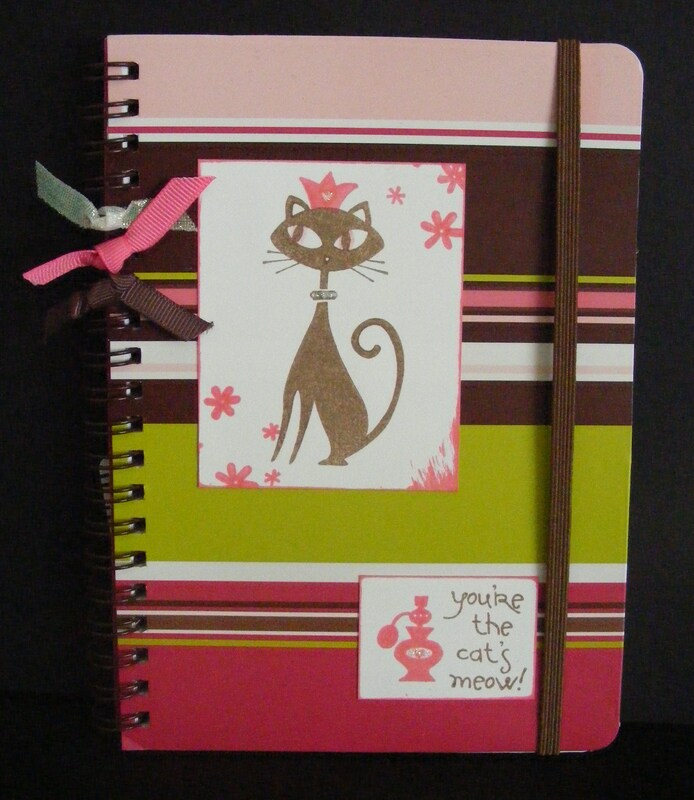 This entry was posted in Notebooks & Journals & Diaries and tagged cat, diary, Journal, notebook, perfume bottle, rubber stamping, Rubber Stamps. Bookmark the permalink.